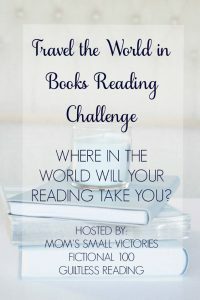 This entry was posted in Historical Fiction, Literature, Sagas and Tales and tagged Book Reviews, Halldór Laxness, Historical Fiction, Iceland, Nobel Prize in Literature, Reading Challenges, Travel the World in Books. Bookmark the permalink. It sounds like a Nordic myth itself–reminds me of a Bergman film. I love how your reading has such focus and reading Nobel prize winners is always interesting. Great review. “A book of your life” – my, that’s among the highest praise anyone could get for a book! I’ve read nothing (I can recall) set in Iceland so I’m fascinated that you mention that Bjartur reminds you of protagonists of Icelandic sagas. Living off the land is never simple, so now I’m even more curious you mention that Bjartur and his family have an even more complicated story. I look forward to more of your thoughts on this book.